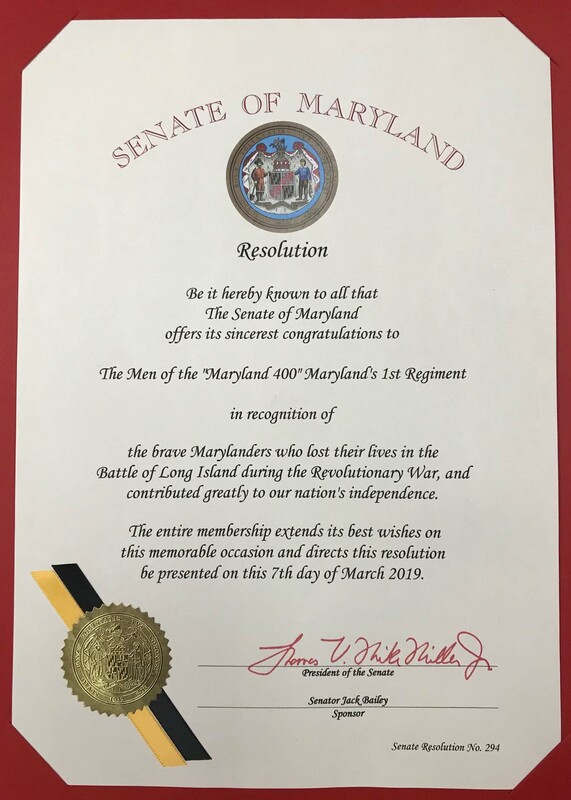 Be it hereby known to all that the Senate of Maryland offers its sincerest congratulations to the Men of the “Maryland 400,” Maryland’s 1st Regiment, in recognition of the brave Marylanders who lost their lives in the Battle of Long Island during the Revolutionary War, and contributed greatly to our nation’s independence. 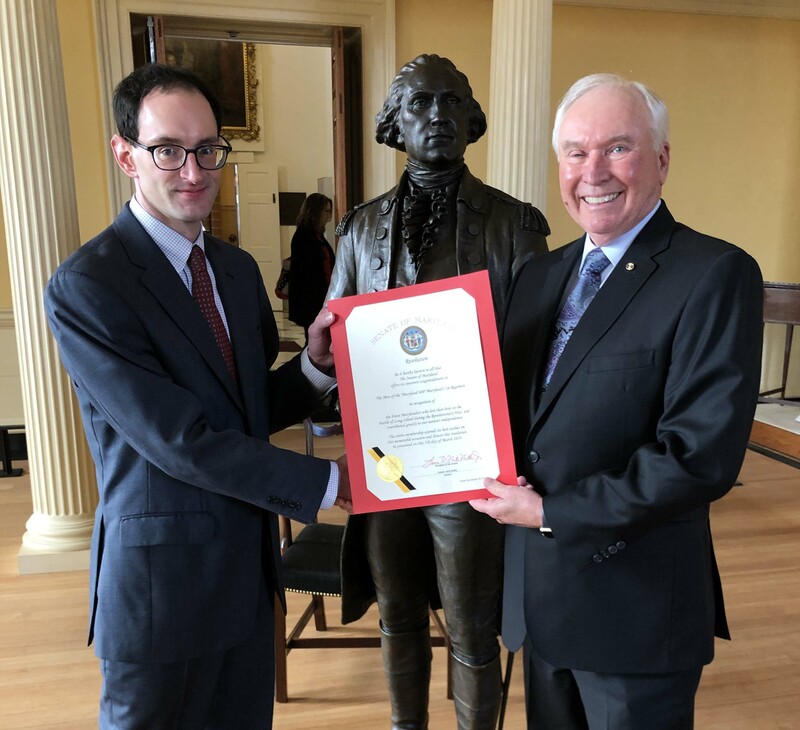 The resolution was formally presented to Major General James Adkins, president of the Maryland Society of the Sons of the American Revolution and former Adjutant General of Maryland. He has been the leading voice to remember and celebrate the contributions of the Maryland 400, and the state’s role in the American Revolution. The resolution will soon be on display at the Maryland State Archives. It has been an honor for us to work on this project studying the Maryland 400 with Gen. Adkins and the SAR, and this resolution is a fitting way to express gratitude for their efforts. You can listen to the presentation of the resolution here: Thursday, March 7, 2019 Session # 1 (starts at 4:30). This entry was posted in Maryland 400. Bookmark the permalink.